The TL220, SureGrip™ Industrial Test Lead Set is designed to provide a reliable grip in slippery hands. 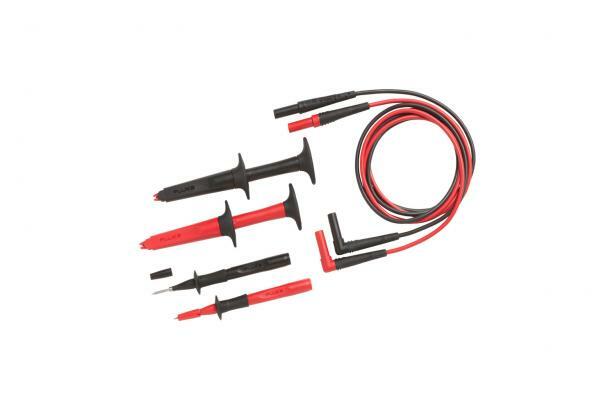 With interchangeable test lead set for multiple electrical applications. Compatible with all instruments and test probes that accept standard 4 mm shrouded banana connectors.